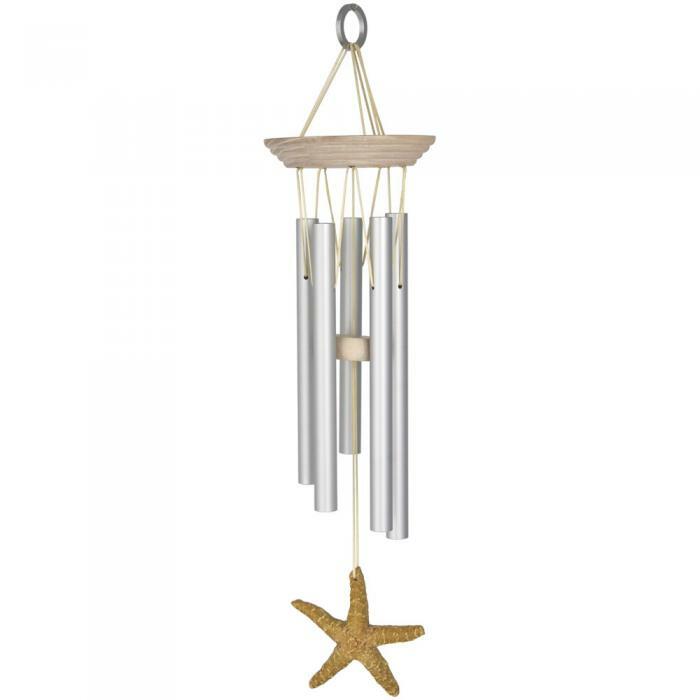 A realistic hand-painted sea star windcatcher adds to this chime's appeal. 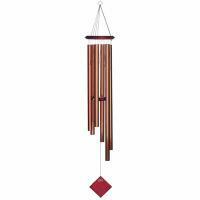 This coastal-themed wind chime is tuned to a traditional Balinese scale from the exotic instruments of the Indonesian Gamelan Orchestra. Starfish or sea stars are radially symmetric and typically have five rays or arms. They live on the sea floor and most can regenerate damaged or lost arms. 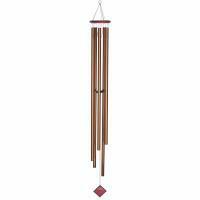 This windchime's hand-painted windcatcher captures the beauty of the reefs without robbing them of their wonderful resources. Sea stars are treasures of the ocean, and Bali is surrounded by a vast ocean full of life. 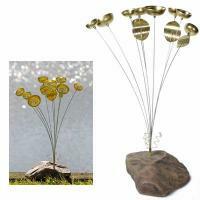 Add this treasure to your home or garden and enjoy the sights and sounds of the beach all year long.